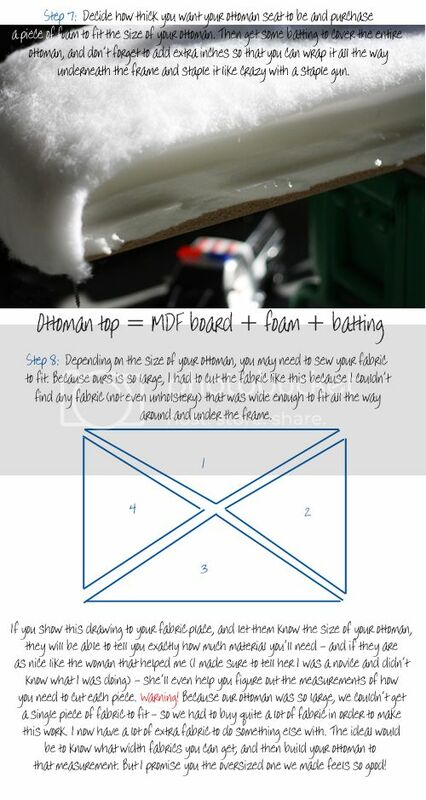 Today we begin a tutorial for how to build your own ottoman. 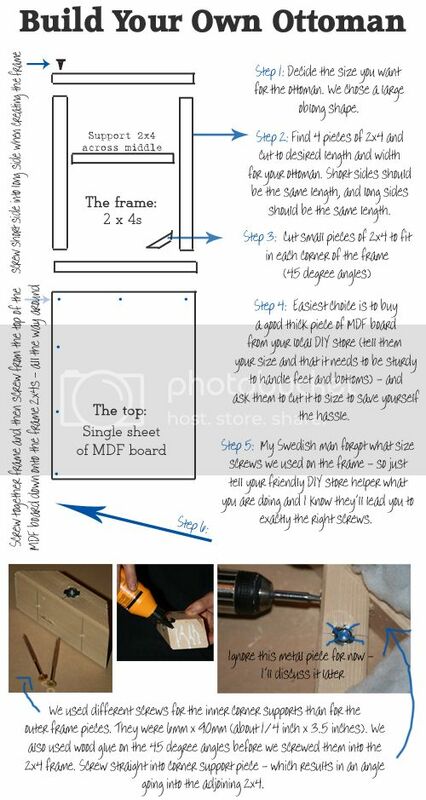 We did it (with limited skills in building and in sewing) – so I’m absolutely convinced that you can to. 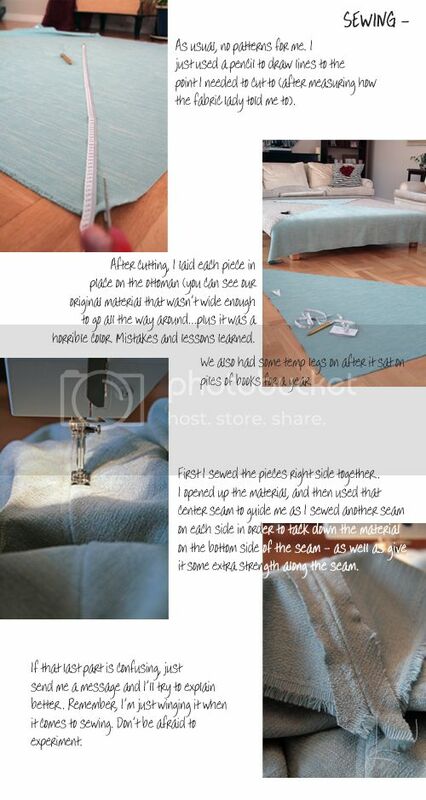 I’ll finish up the ottoman tutorial tomorrow so tune in if you’ve already started plans for your own. If not – make sure to check back anyway because I’ll also be posting the usual recycled and repurposed inspiration to get your creative juices flowing. Michael! Your living room is amazing! ALSO – Gwyneth and I tagged you on 11 questions! Details are in our latest post!